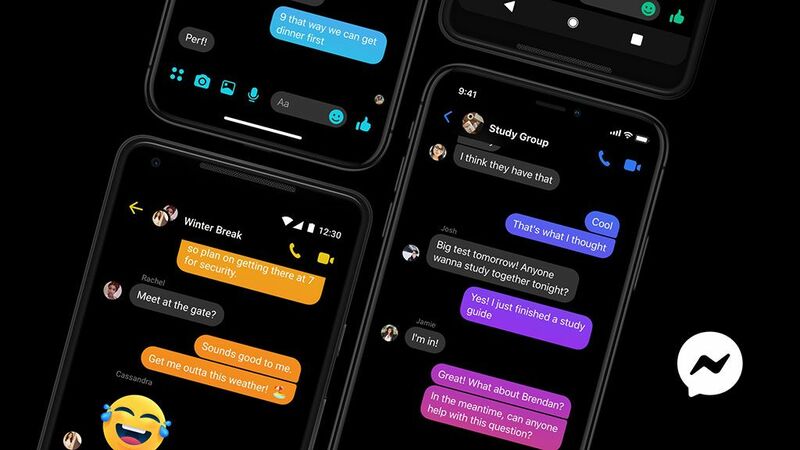 Facebook introduced a dark mode feature to its Messenger app in 2018 but, at the time, it was only being tested by select users in a few countries. In March this year, that feature was opened up to all users, however it was technically still an Easter egg – it had to be sneakily activated by sending a message containing a crescent moon emoji. From today, though, you can say goodnight to the moon as Facebook has announced it’s rolling the feature out to all users. Anyone using the Messenger app will be able to darken their chats by heading to the settings pane (by tapping on the profile picture on the app) where a ‘dark mode’ toggle switch is available right up top. Not only is a dark theme good for your eyes, Google says it also helps conserve battery on Android devices, as it takes less power for the screen to display black. If you don’t see the toggle switch right away, try updating the app or waiting a day or two – the feature is rolling out to iOS and Android devices starting from today.